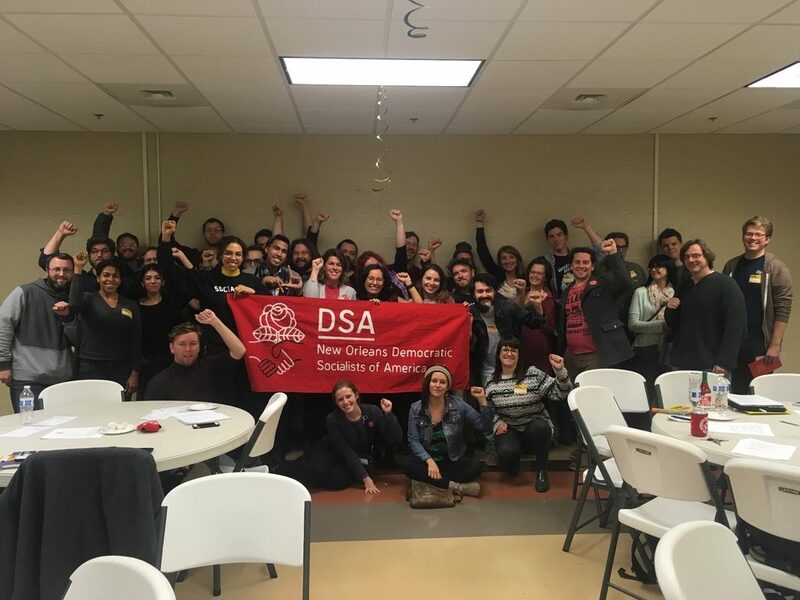 DSA New Orleans - Solidarity with Los Angeles education workers! Solidarity with Los Angeles education workers! DSA New Orleans stands in solidarity with striking Los Angeles teachers! Across the U.S., education workers are under attack. They’ve been pushed to the edge by charter schools and austerity. Today more than 30,000 education workers in L.A. went on strike for the first time in 30 years. They’re demanding an end to school privatization, inflated class sizes, excessive testing and decreased funding. As socialists and working people, we believe that support for labor struggles is a central priority of our movement. To demonstrate our solidarity, we’re donating $100 to a strike fund for Los Angeles education workers and sending them a statement of support from our chapter.